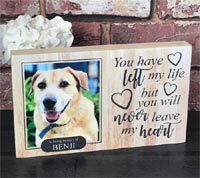 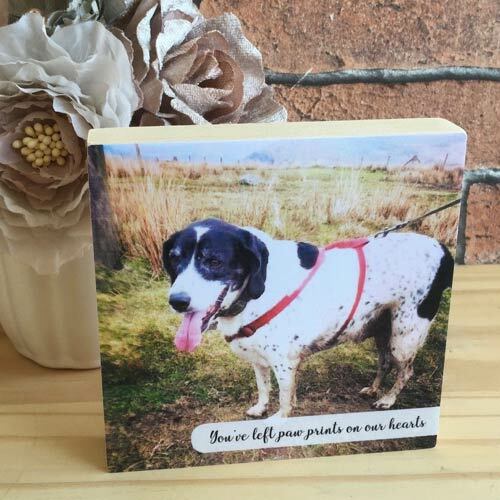 These simple yet beautiful memorial photo blocks are made from chunky pine and are a unique and contemporary way to display your favourite photograph of your beloved pet with your very own message. 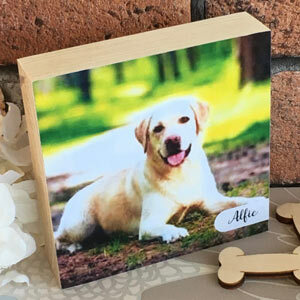 Simply upload your chosen photograph when you order and some short text of your choice for it to be beautifully displayed on these square, clean-edged pine blocks. 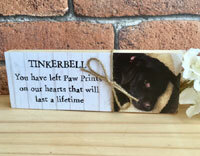 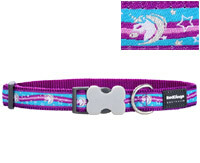 A treasured keepsake of a best friend. 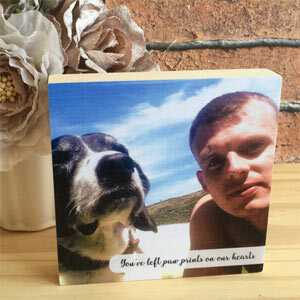 The photo is printed and adhered to the block before being covered with a protective layer to keep them looking fresh. 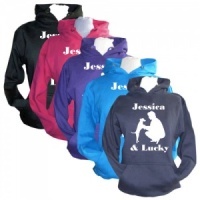 The text is optional so simply leave that box blank if you just want your photo displayed. 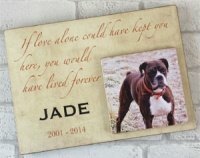 I ordered a photo block of my recently deceased dog which i thought would be a.nice.keepsake, when it arrived i was slightly dissapointed as it was not quite the way i wanted but after a quick email all was sorted amd i received the perfect photo block....the company were very obliging and sorted the problem within no time.